Graphite rubbing from a linocut, 3” square. 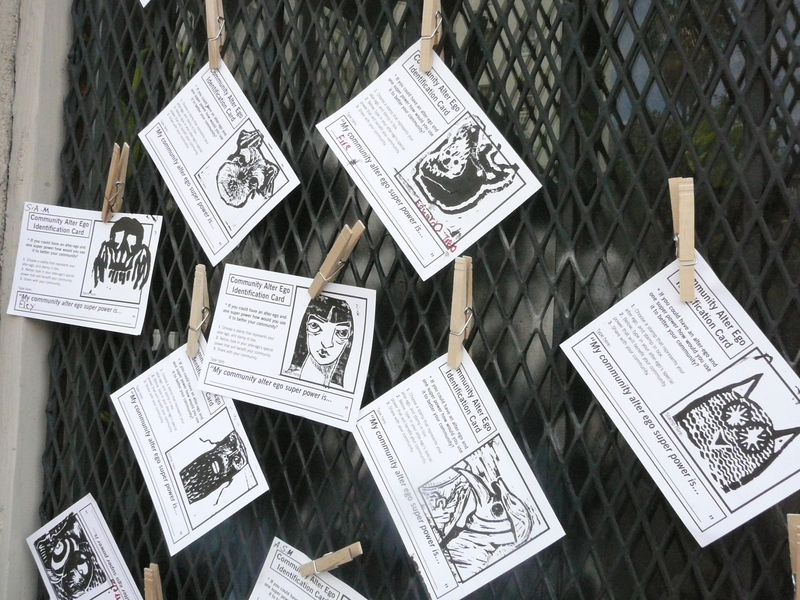 In 2014, visual artist Peter Foucault reached out to a network of artists and printmakers to prepare a suite of linocut blocks for use in the "Engaging Ensor" interactive exhibit at the Getty Museum in Los Angeles, California, part of the Mobile Arts Platform summer residency and accompanying the Getty exhibit, "The Scandalous Art of James Ensor". Read more about the event on the MAP blog, and via the Getty Iris. Each artist was asked to carve a block that invoked the following themes: a portrait of the artist's "alter-ego", either animal or human, or a parody of a contemporary or historical figure. My solution was a mix of alter-ego and self-parody, casting myself as the Cartographer/Plague Doctor, or a practitioner of an art or science who means well, but whose works are, at best, ultimately ineffective or at worst the cause of more harm then good. Modern historians speculate that the plague doctors of medieval Europe may have unwittingly served as vectors for spreading the bubonic plague they attempted to treat, employing woefully inadequate knowledge and techniques. Many cartographers grapple with questions surrounding the fruits of their labors. Since we can't re-create reality with absolute fidelity in our work, does infidelity damn us to failure? Are we merely perpetuating inaccuracies in geographic information, or unwittingly serving the interests of a powerful few at the sake of the many? In my own struggles with the question, I continuously hone my craft with the belief that good design will win the day. Map makers and map users alike just need to understand what is happening in the process of cartographic communication. The promotion of map literacy is an ever-evolving and ever-necessary task. That constitutes the back-story for my entry, but those who printed my block at the interactive exhibits were able to associate their own stories and meanings with the image. 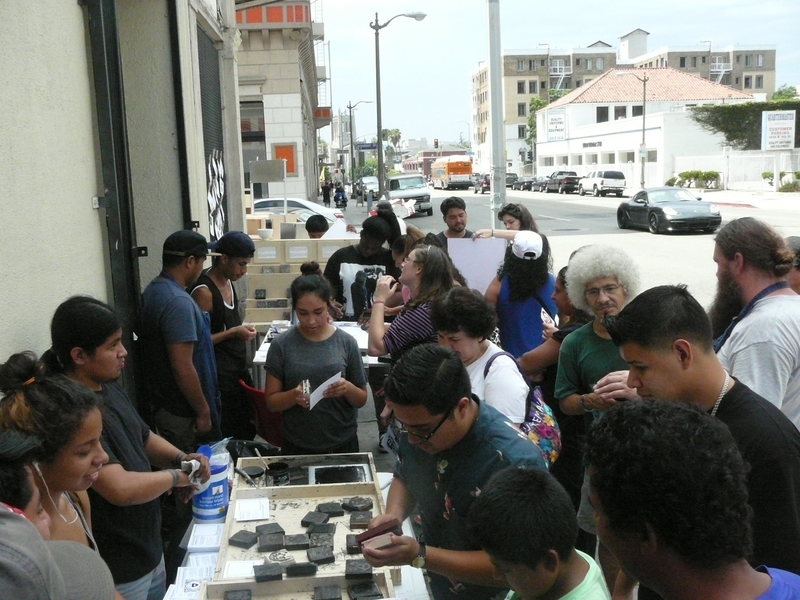 The program provided an opportunity for participants to try their hand at relief printmaking at several locations around Los Angeles. 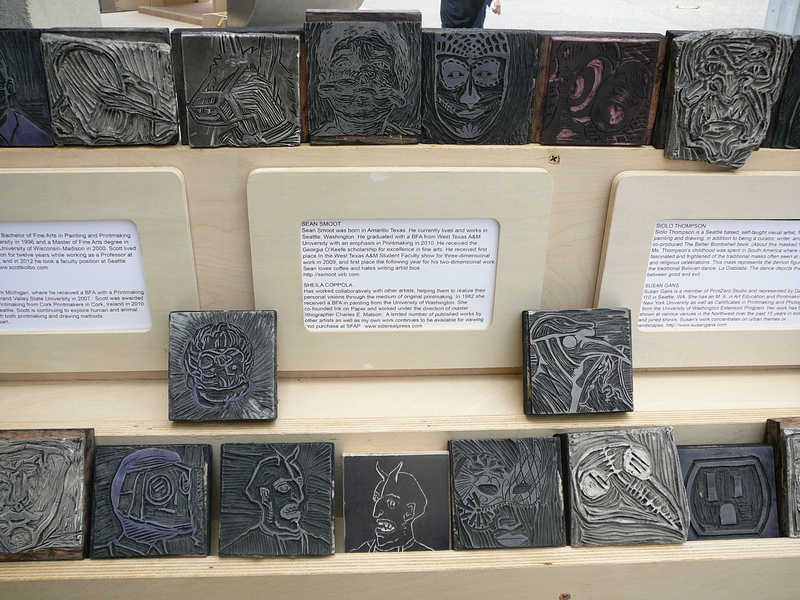 See if you can pick out my block and resulting prints from the Mobile Arts Platform photographs below. I'm honored to have this linocut become part of the Getty permanent collection, and my thanks go out to Peter and Chris!